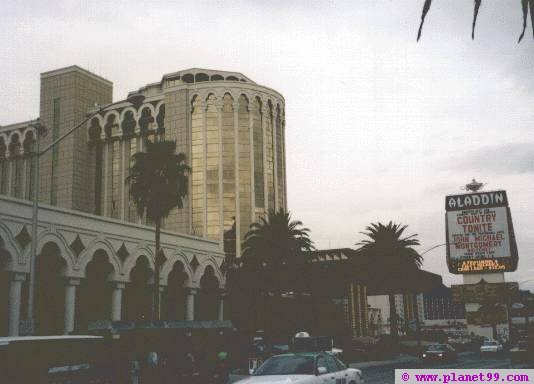 This Aladdin is in the process of become the new Planet Hollywood Hotel and Casino. 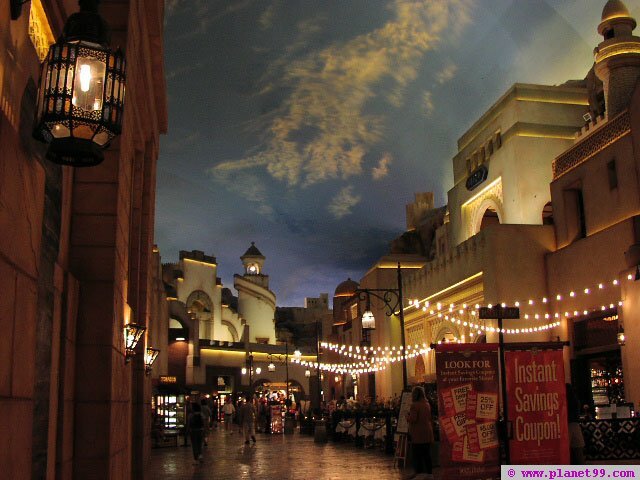 The Aladdin casino features some of the best shopping, dining, and atmosphere on The Strip. 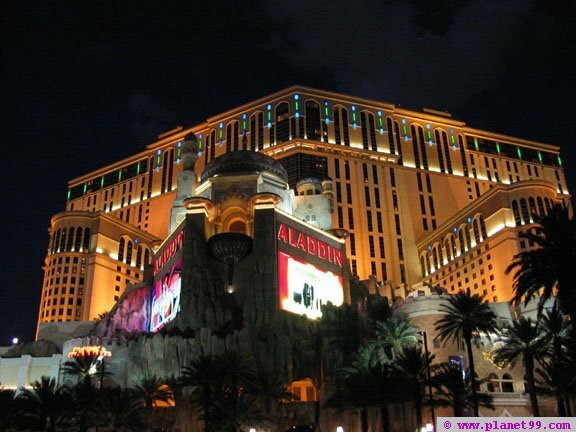 Over 2500 luxorious rooms feature marble bathrooms and excellent views of the action. 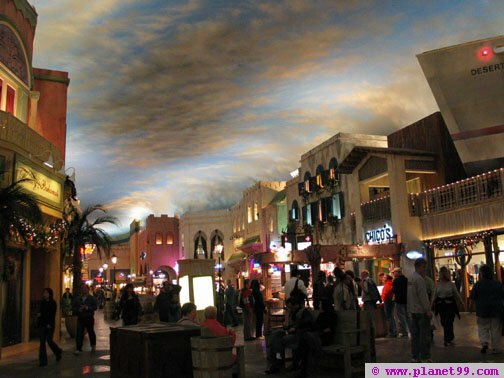 The Desert Passage is an Arabian Themed collection of top notch stores and restaurants. 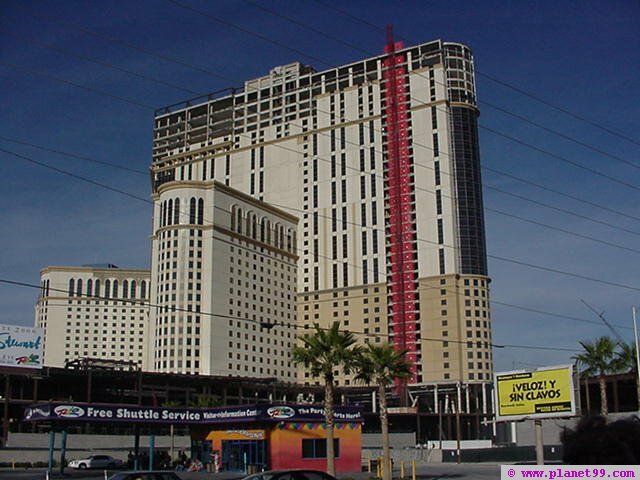 The original Aladdin Hotel and Casino was imploded on April 27, 1998 to make way for this $1.3 billion development, which opened in Spring 2000. 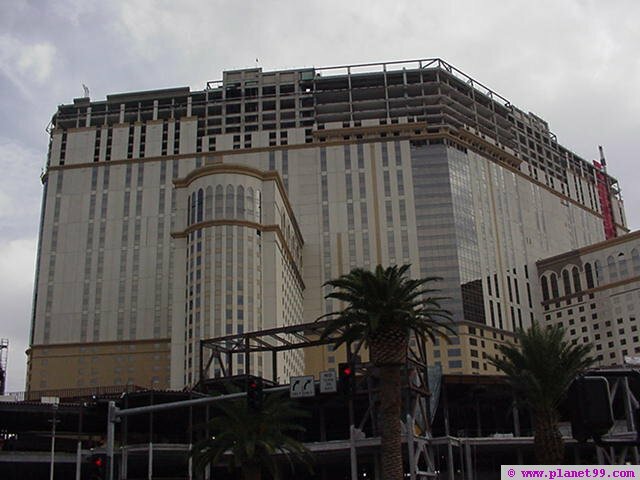 The parking garage is great - but you have to walk through the entire mall to get to get to the casino. Desert Passage. This huge, colorful shopping and dining area located in the Aladdin is also a unique showplace. Merchant's Harbor features a sky full of lightning and rolling thunder; shows are every hour on the hour Mon-Thurs, and every half hour on Fri-Sat. Live entertainment includes contortionists, belly dancers, musicians, and acrobats that are reminiscent of ancient desert lands. Parking: Take Harmon to Audrie, proceed north to Aladdin garage (signs clearly point the way). In addition to over 2,500 guest rooms with Internet-access computers, Aladdin offers over 75,00 square feet of event and meeting space, with the Convention Center on dedicated floors. 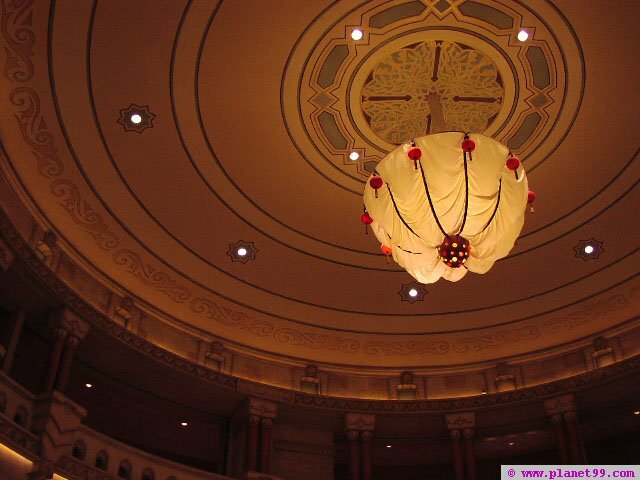 The Aladdin Theatre seats 7,000 attendees. 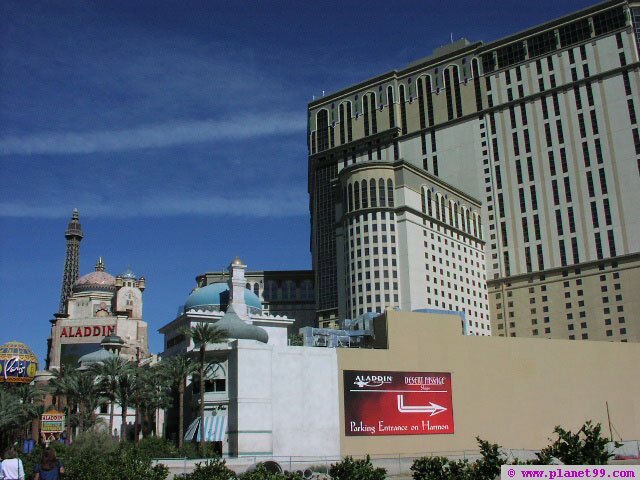 Planet Hollywood Resort & Casino Coming 2006 Construction will begin in October to re-brand the Aladdin casino, making the front entrance more accessable from the Strip, and expanding the casino and retail space. The project is currently budgeted at $90 million. The number of rooms at the resort will increase to 4,000.